Equine Performance Therapy will provide your equine athlete and yourself with a treatment plan designed specially for the individual. I have been involved with horses for the past 27 years including at competitive level. I can be of assistance where soft tissue and muscular injuries are concerned, providing pain relief, healing of wounds and improved flexibility. This helps with range of motion, balance, movement, and general well-being, all leading to a quicker recovery time. Massage, laser, acupressure and other techniques will enable your horse to perform to the best of their ability and bounce back quicker after an intense schooling session or competition. 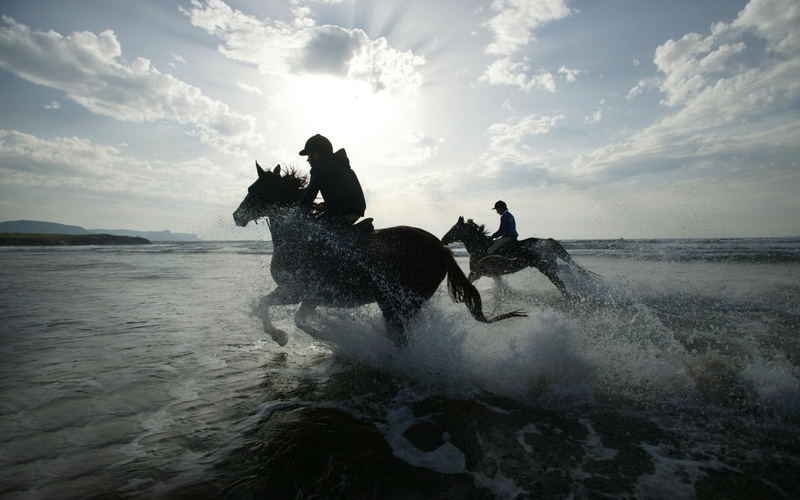 Equine therapy is used to maintain muscle function and increase joint range of motion. Focussing on maintaining functionality and comfort for the horse in training and competition. With injuries, I can assist with managing and relieving pain, reducing swelling or edema. My treatments help maintain a level of functionality and comfort for the horse throughout recovery from injury or surgery. Regular treatments backed up with exercise allow the body to function with fewer restrictions and accelerate recovery time, also reduces the risk of injury. I recommend using treatments in conjunction with training schedules to get maximum results and benefits. Removes tension created by stress or overworking, enhances muscular suppleness, pre-comp massage enhances performance, removes toxins created by exercise, pain relief. Athletes require precise use of their bodies. Changes in strength and movement patterns can create compensation in other parts of the body, contributing to muscular difficulties. Massage is used alongside conventional and complementary health care and in conjunction with exercise training techniques enabling you to perform to the best of your ability. Regular treatments backed up with exercise allow the body to function with fewer restrictions and accelerate recovery time, also reduces the risk of injury. It can be used in conjunction with training schedules to get maximum results and benefits. Are you interested in a therapy Emma provides?